To make these image takes patience, dedication and clear skies. And being in the right place at the right time doesn’t hurt either! But most importantly, you must keep this in mind: No night exposure can be achieved without a solid base under your camera. I only shoot with my Sirui N-3204X Carbon Fiber tripod and Sirui K-30X Ball Head. It gives me the confidence to shoot without a worry of camera drift or shake of any kind. My “go to” tripod for this work is the Sirui N-3204X Carbon Fiber tripod with the Sirui K-30X Ball Head attached. The light weight and compact design let me hike to get to my destinations, often a mile or so from my car, without being a distraction and allowing me to focus on the trail. I usually remove the center column and work with the short center column, allowing me to get down low to the ground to shoot as well. When I set up my shots I never worry about the camera drifting during the long exposures. Why? Once I tighten the Sirui K-30X Ball Head, I know it is there to stay until I loosen it. This is the most common problem I see with other shooters, their camera moving during the exposure. I know once I am set, the K-30X allows me to focus on the composition of the image as well as add light painting when the image needs that extra something to make a good picture into a great one! 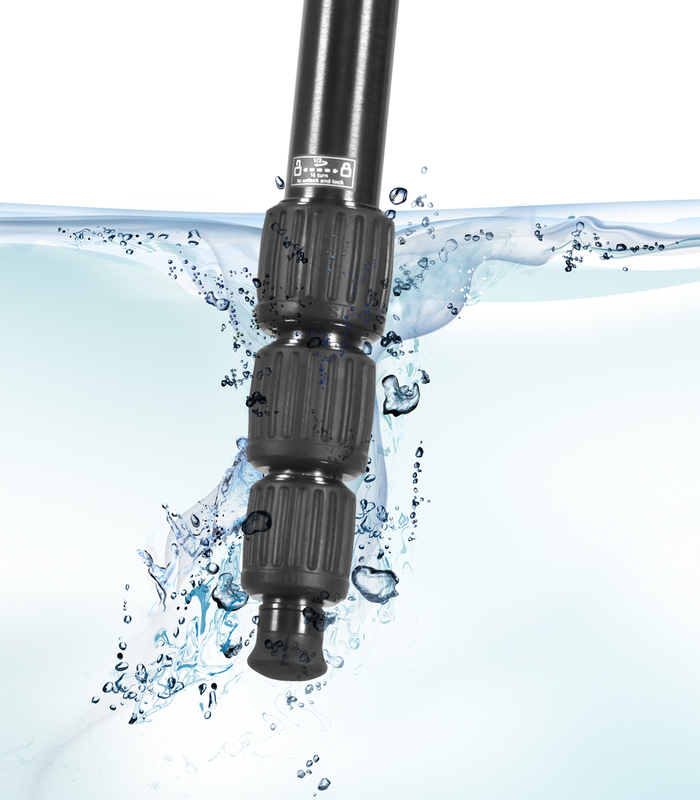 Now’s the perfect time to buy a SIRUI professional N-X Series or W-Series Waterproof tripod! With valuable features like monopod legs, split center columns, high load capacities, maximum stability and even waterproof (W-Series), they’re the perfect gift for your favorite photographer…and for yourself, too! 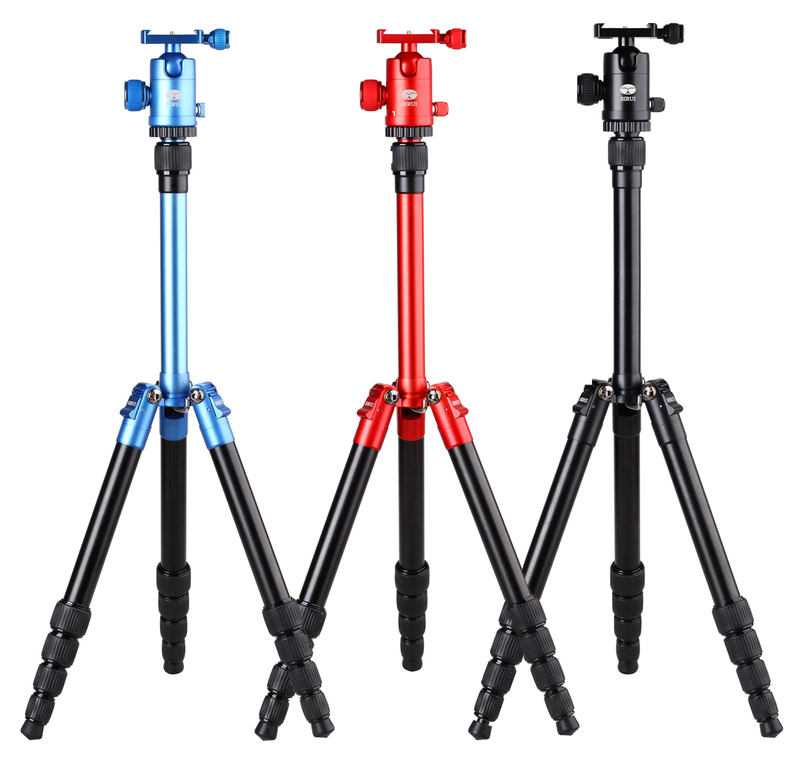 Not only are they great tripods, they’ve got rebates up to $30 that make them an even better deal. To see all N-X Series tripods go to: http://www.sirui.com/sirui-n-x-series.html. 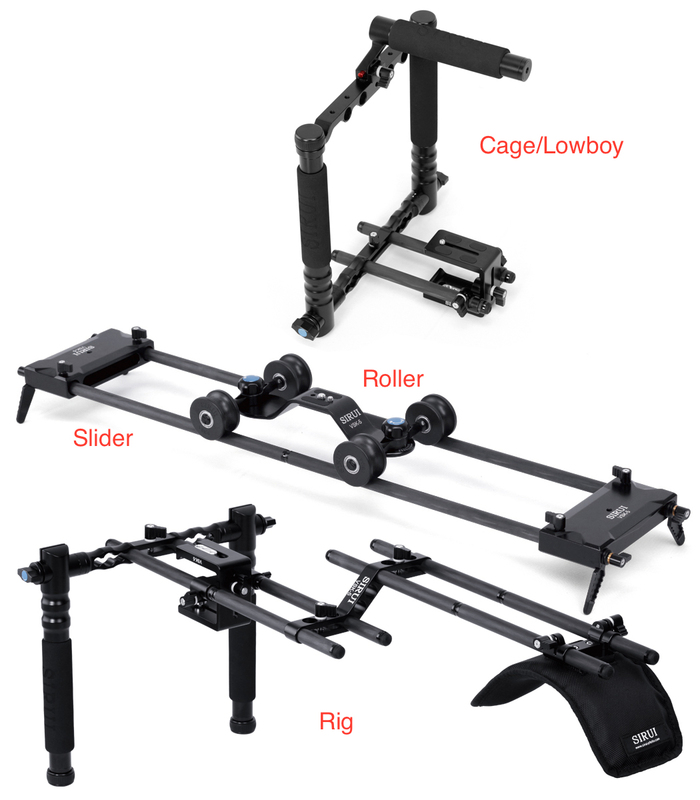 For W-Series tripods go to: http://www.sirui.com/sirui-w-series.html. 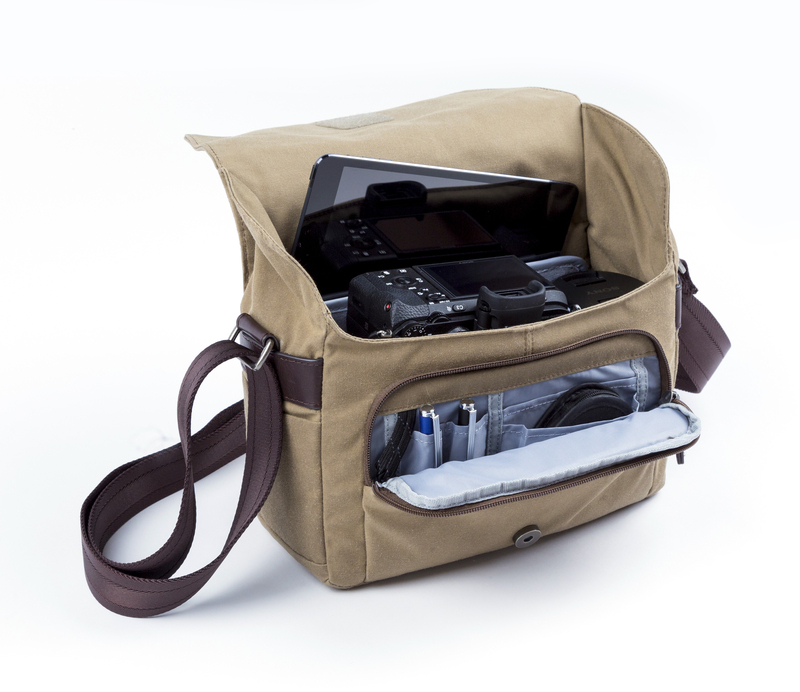 Need a stylish, functional Messenger style Photo bag or a full-function photo backpack that doesn’t shout “I have photo gear inside” – then you need to check out the SIRUI MyStory, Urbanite or UrbanPro bags. And with rebates up to $25, it would be foolish to wait another minute to get these amazing new bags. 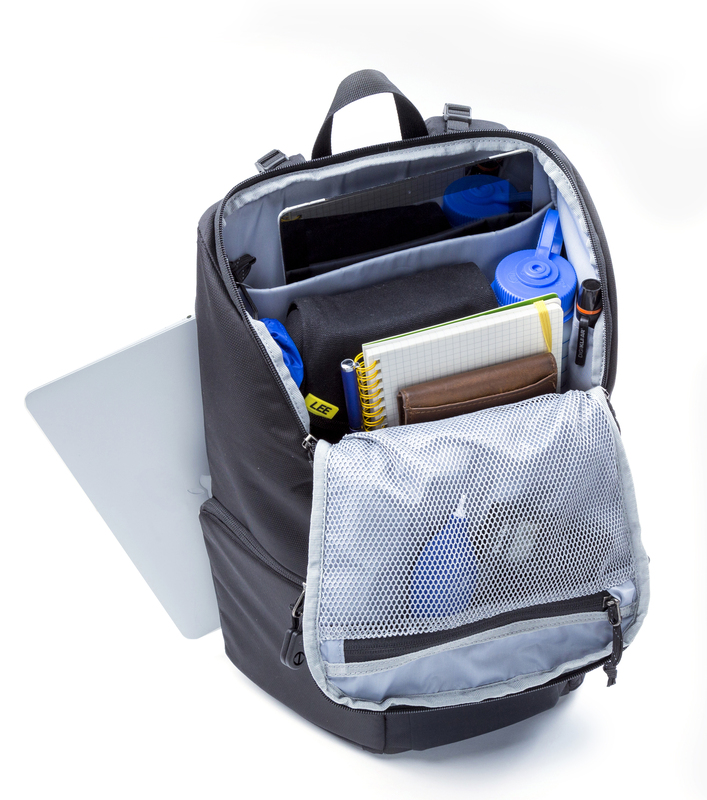 To see the full line of SIRUI photo bags and backpacks, go to: http://www.sirui.com/photo-backpacksshoulder-bags.html. With the advancements in digital photography, shooting the Milky Way and night skies is becoming more popular. A nice wide angle lens on a digital camera using a basic starting formula of ISO 3200, 30 seconds in Manual Mode, manual focus set just shy of infinity, and white balance set around 3150K, will give you some really nice images. A cable release or self-timer to trigger the shutter will help to achieve a nice image. Beyond a camera and proper settings, the most important part of the equation to achieving beautiful night sky images…a sturdy tripod is required. I shoot the night sky in locations that not only require me to have a rock steady base, but often is at weird angles since I am shooting rock formations or trees in the background. And I’m often lying flat on the ground to shoot. I put all of my faith in shooting on my Sirui N-3204X Carbon Fiber tripod when I am shooting the night sky. The holiday season will soon be upon us! 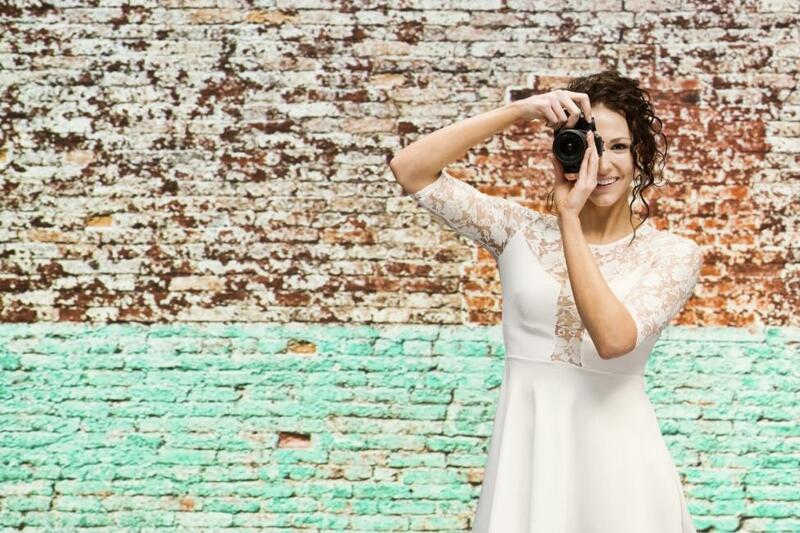 And SIRUI has perfect gift ideas for your favorite photographer… or for yourself! Ultra-compact for travel – only 12.2” when folded! There’s always room for one of these tiny wonders in your bag or backpack! Lightweight, ruggedly constructed and stylish! 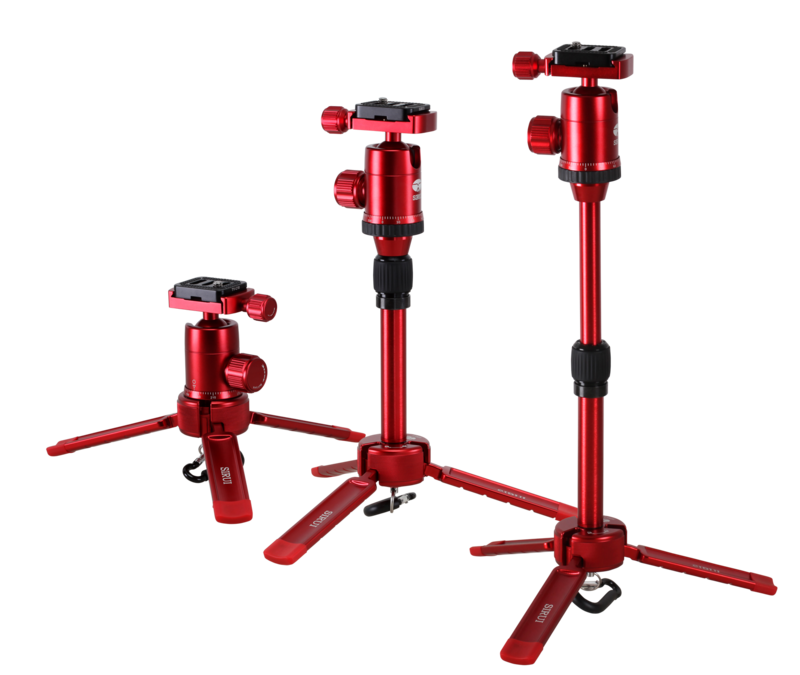 The T-005X Aluminum series kit comes in Blue, Red or Black, weighs only 2.3lb with C-10 ball head and securely holds up to 8.8lb! The Sirui T-025X 8-layer Carbon Fiber kit weighs only 2.0 lb with ball head and holds an impressive 13.2lb! 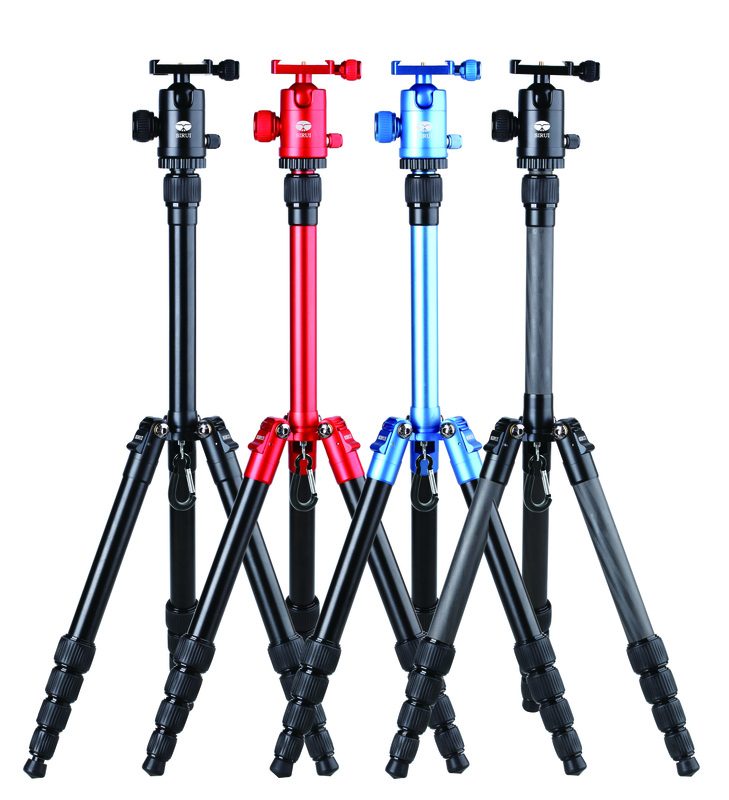 These amazing tripods can extend to over 54.5 inches – perfect for many shooting situations. If you want the ultra-compact feature in a tripod kit that can handle a larger camera/lens outfit, take a look at the new Sirui T-004X/024X. It’s taller height, wider stance, adjustable center column and short center column gives you even more flexibility! For traveling photographers, the biggest problem is having a tripod when they need it! That’s why Sirui created the TX-Series of tripods. 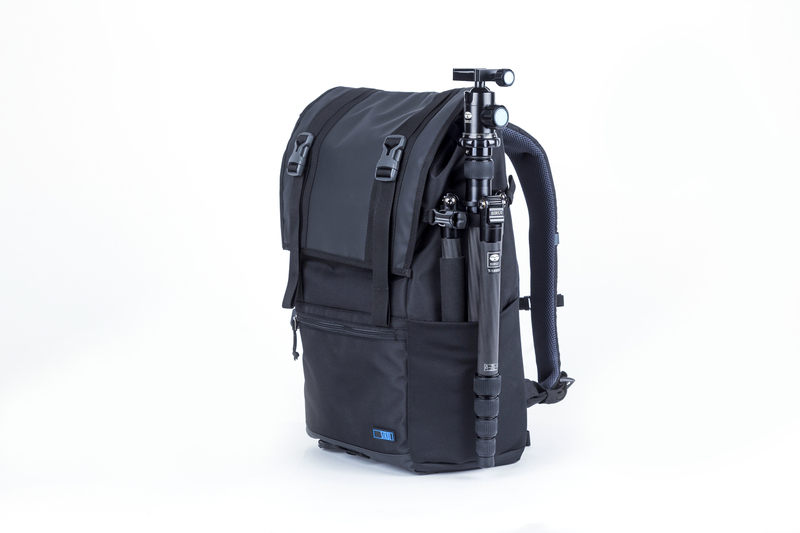 For easy storage and transport, the Sirui T-1005X (in aluminum) and T-1205X (with 8 layers of 100% Carbon Fiber) tripods can fold as small as 13.4 in. – about the size of a 2L water bottle – and weigh as little as 1.8 lb!! But don’t let their compact size fool you! They can handle up to 22 lb. of equipment! 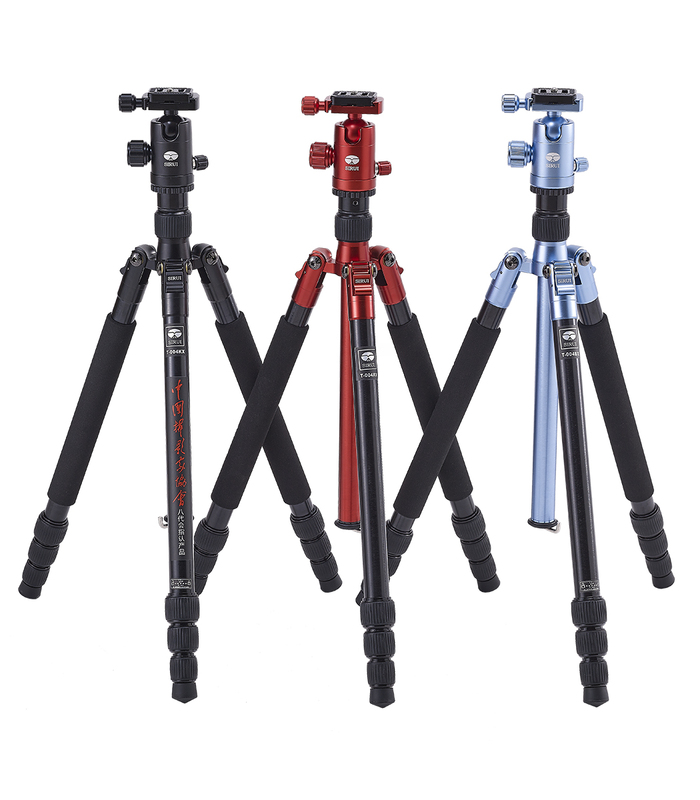 And if you want a flip leg lock instead twist leg locks, you can get the Sirui ET Series of tripods. 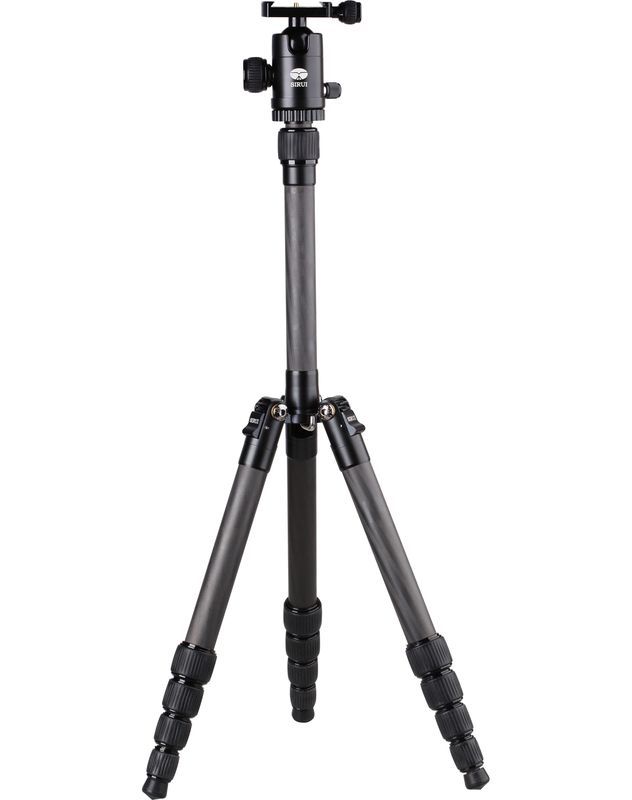 The new SIRUI 3T-35 Table Top Tripod Kit is an ultra, ultra-compact, rugged, portable, flexible table top tripod…and much more! At only 9.5 inches closed, it can easily fit in a camera bag, backpack or back pocket. It can even fit in you glove compartment! 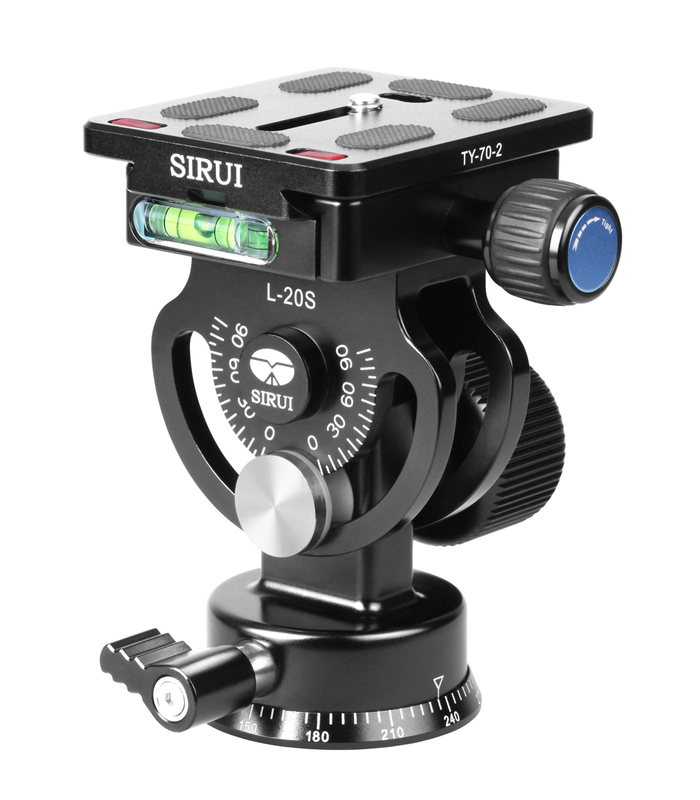 The SIRUI 3T-35 is made of forged aircraft grade aluminum alloy, so it’s rugged and built to last! 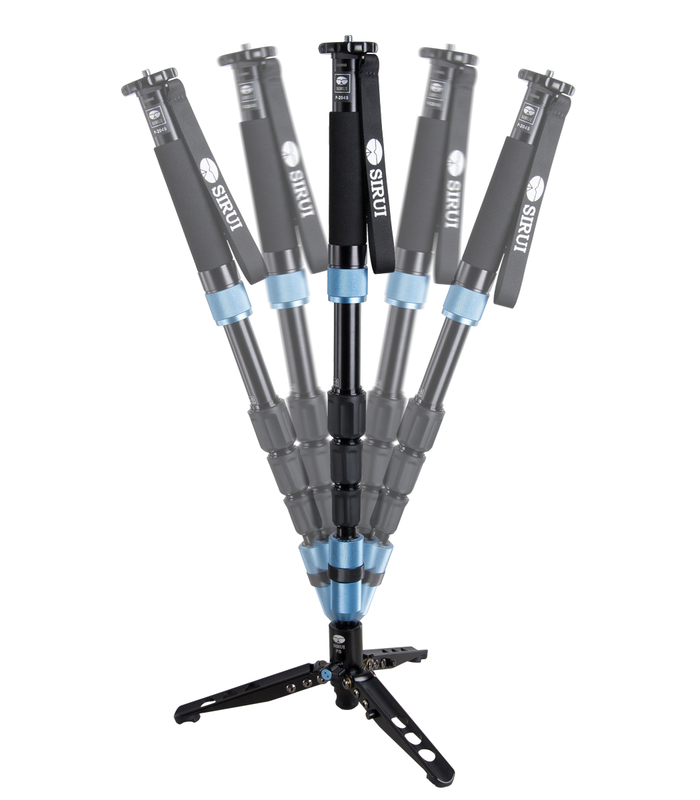 It’s large, stable support legs can hold digital and video cameras weighing up to 8.8 lbs. And the two-section center column can extend to 13.5 inches! 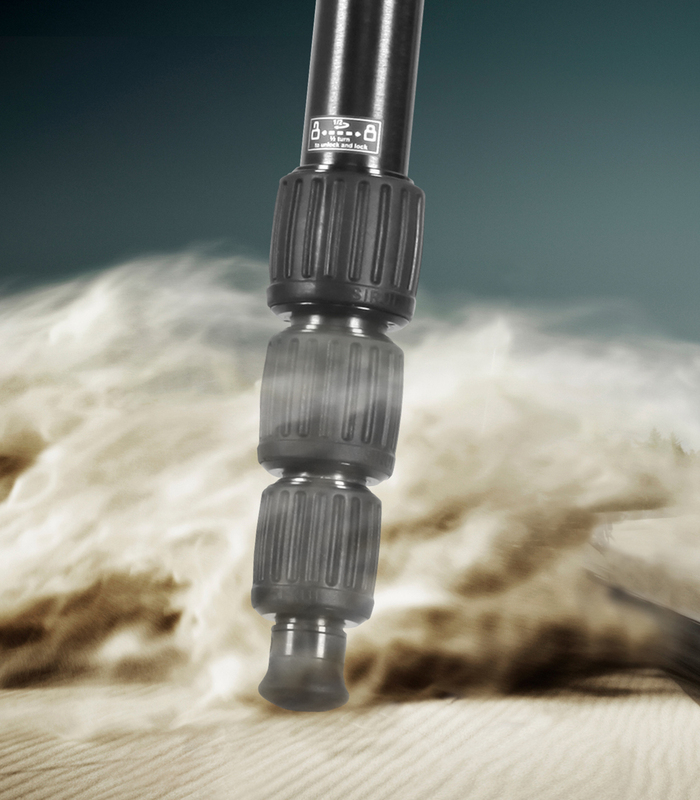 The impressive Sirui P-326 monopod is one of the top selling monopods in the market! And when you get your hands on one, you’ll understand why! Made of 8 layers of 100% Carbon Fiber, strong enough to easily hold up to 22 lb. of professional gear (yet weighs less than 1 lb.! ), small enough to fit in a backpack, shoulder bag or camera bag (closes to 15.4″), but opens to 61.4″ tall! 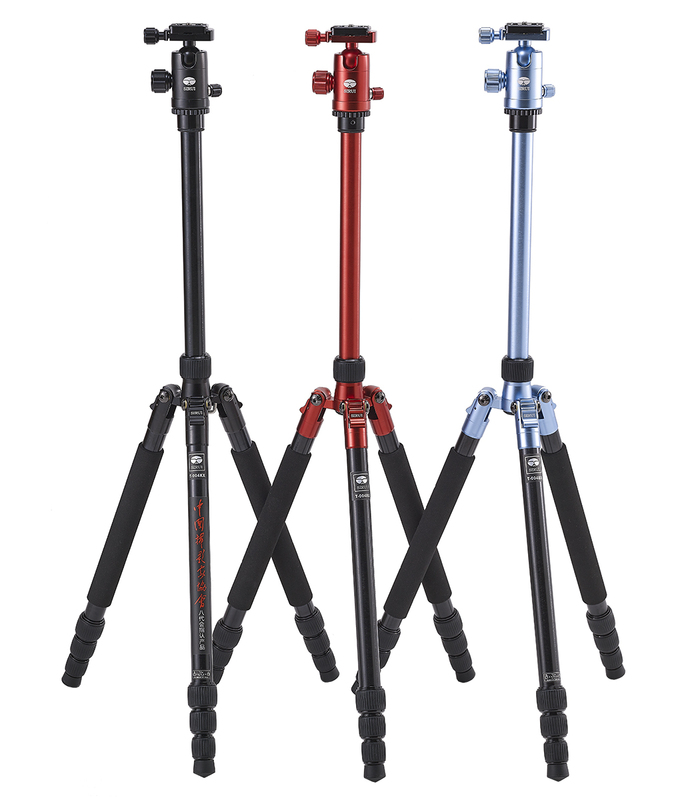 And at a selling price of $99.95 … for a high-performance carbon fiber monopod … it’s a must have on your gift list! While, you’re looking at a monopod, you really need to consider the perfect accessory for Sirui monopods. 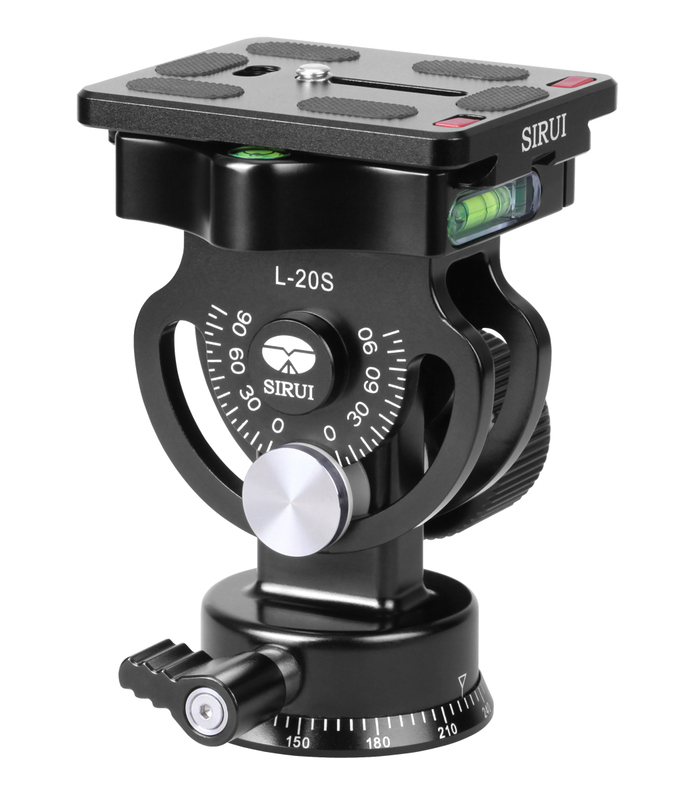 The new Sirui L-20S monopod head is a strong (holds up to 55.1 lb. 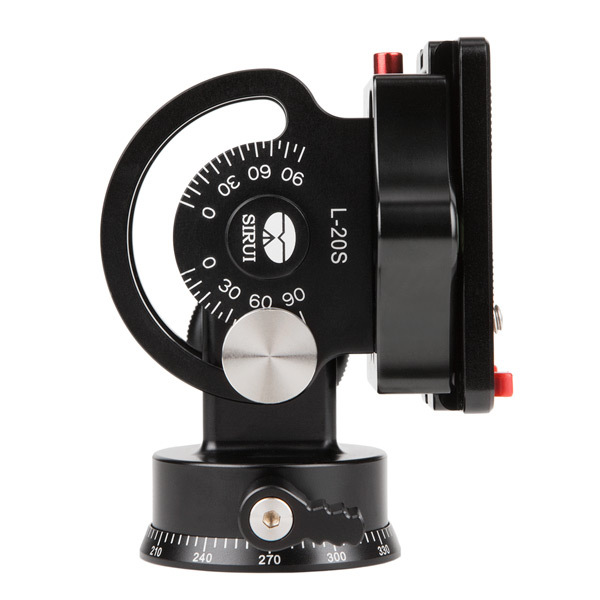 ), compact, has a large tilt lock knob, panning base and multiple bubble levels. It comes with an Arca-compatible Quick release plate. So it’s time to get your holiday gift list together now! And with the above listing of Sirui products, you should be able to satisfy everyone’s travel needs. 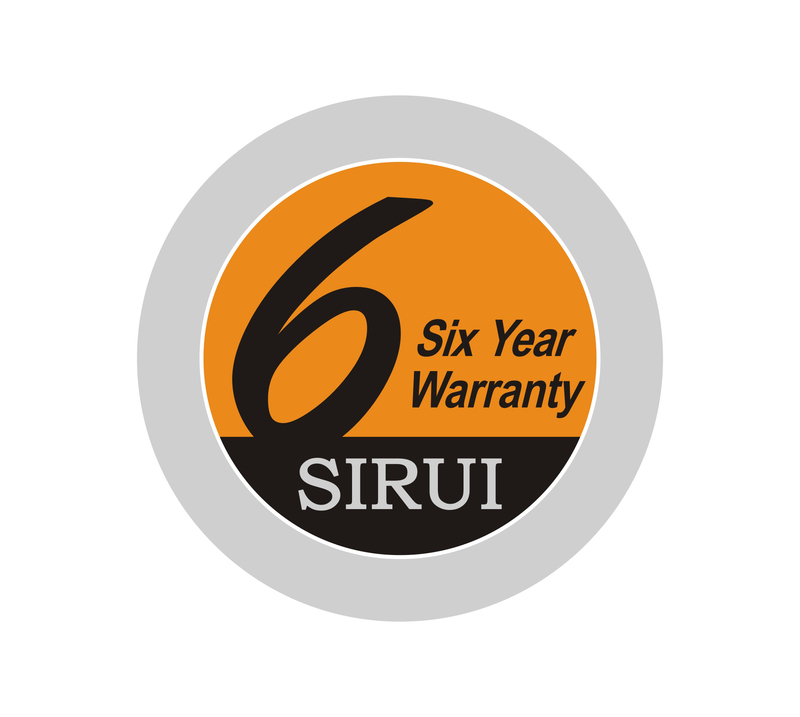 All SIRUI tripods, monopods and heads, come with a 6-year warranty. It’s getting close to the holidays and it’s never too early to start planning what to buy for your favorite photographer(s)! To help you get started, PhotographyTalk.com has published a list of photo gifts for under $250. 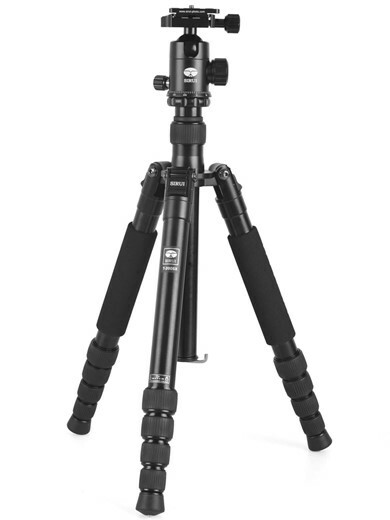 And we’re pleased to see the new SIRUI T-004X Tripod Kit is on the top of their list! 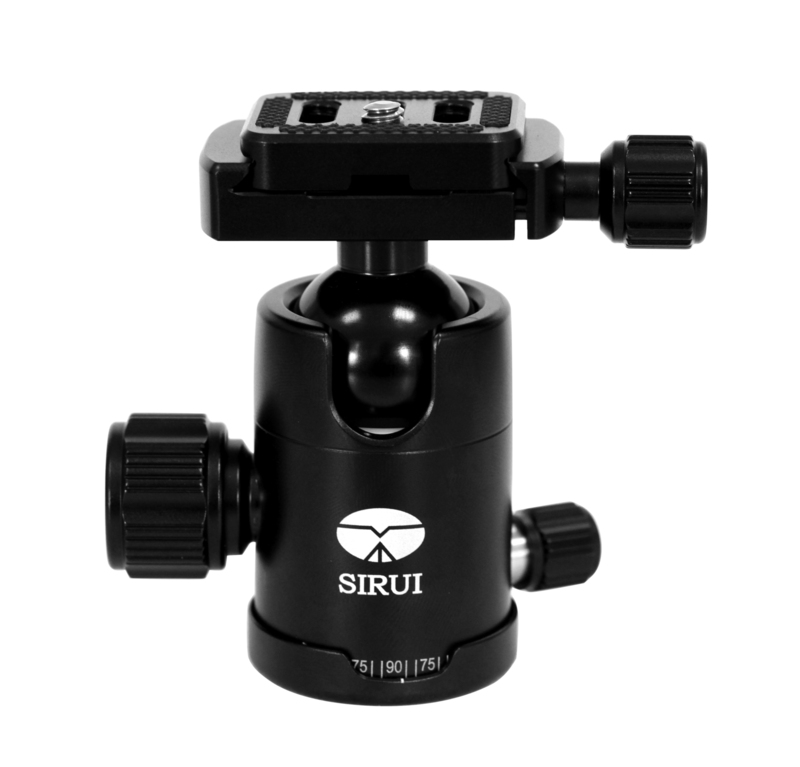 The SIRUI T-004X is an ultra-compact tripod that takes all the benefits of our the top-selling SIRUI T-005X and adds a few extras to make it even more desirable! Full sized, Compact tripod? Yes! It opens to 58″ but folds down to only 15.7″! Lightweight, but sturdy? Yes! It weighs only about 2.5 lb, but can hold up to 13.2lb! And the carbon fiber SIRUI T-024X weighs only 2.0 lb! Center column that is adjustable? Yes, plus a short center column is included to let you get just 4.9″ off of the ground! Comes as a kit? Yes, in addition to the stable legs, it comes with the compact, impressively strong C-10X ball head with an Arca-compatible quick release plate. Impressive price? 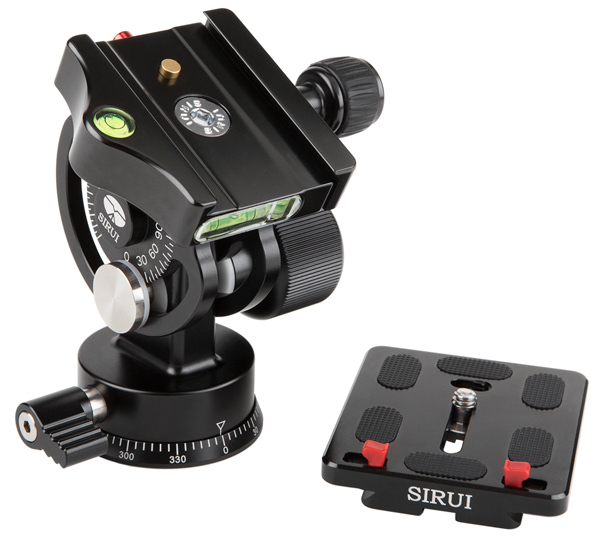 Actually, the SIRUI T-004X is closer to $150 than $250! And the carbon fiber SIRUI T-024X is just a few dollars over $250. 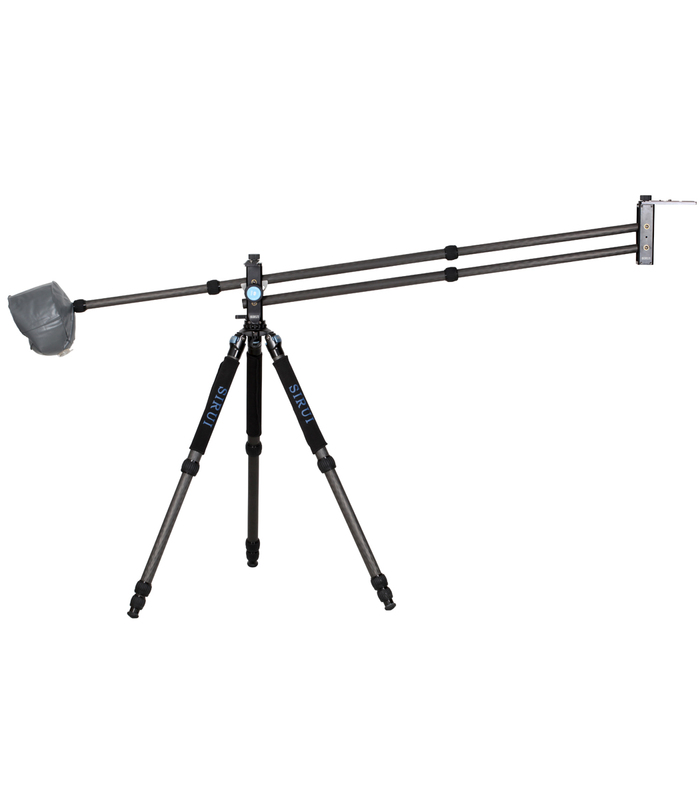 An amazing price for a high quality carbon fiber tripod kit! 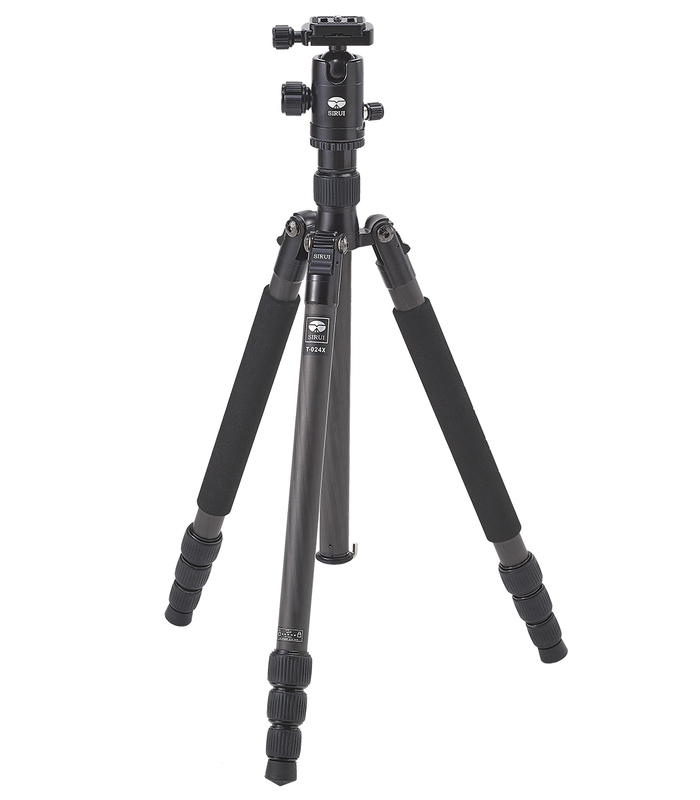 The new SIRUI T-004X/024X, like all SIRUI tripods, monopods and heads, comes with a 6-year warranty. 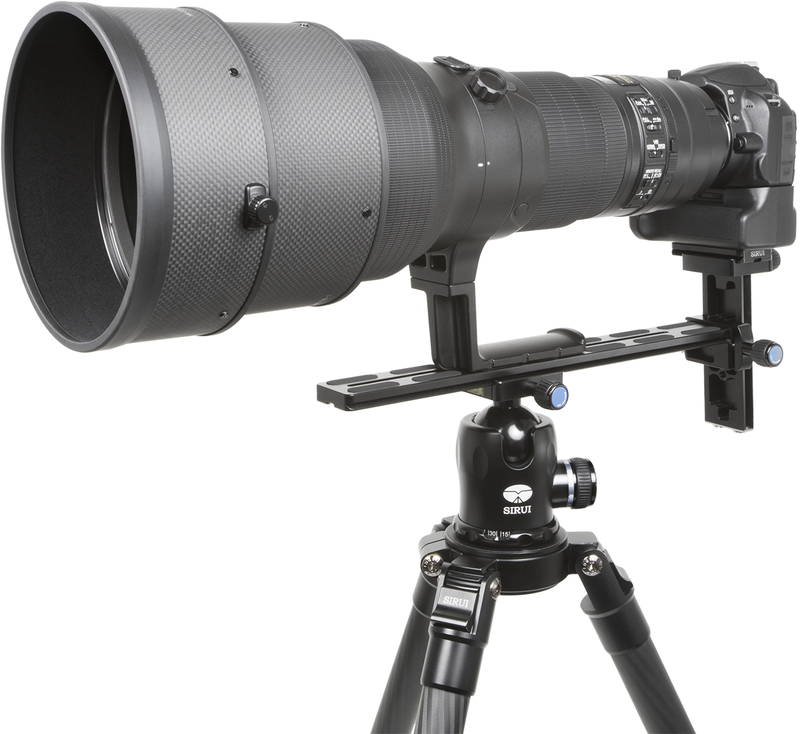 Come see Sirui tripods, monopods and heads at NYC’s biggest photo/video event of the year! From October 22~24 you can see and handle all of the new SIRUI products! See the new SIRUI VSK-5 Video Survival Kit – 5 key video accessories in one portable, rugged, lightweight package! SIRUI VTJ-1.8 Video Travel Jib – makes it easy to produce creative scenes with smooth movements and perspective changes. 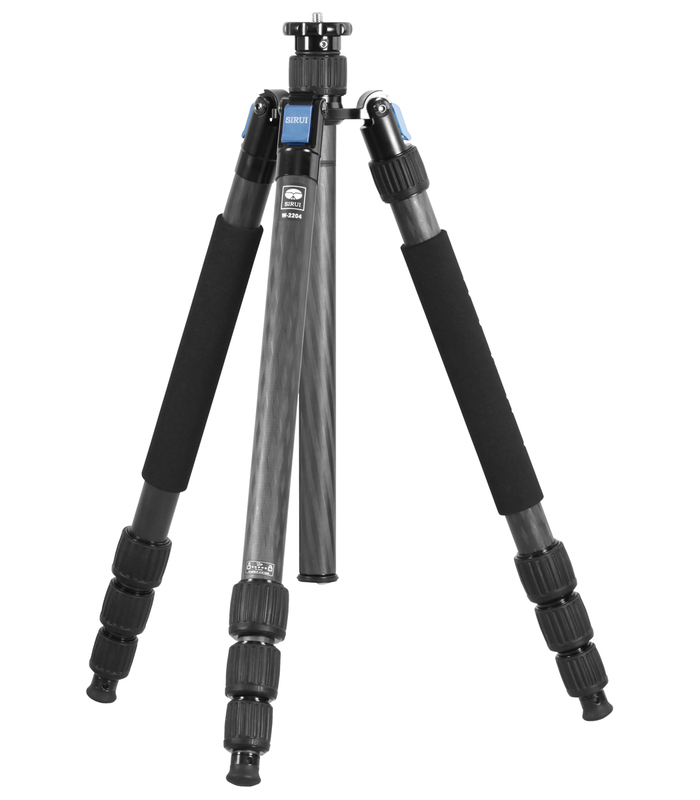 SIRUI 3T-35 Table Top Tripod – ultra-compact, stable and always there when you need it! 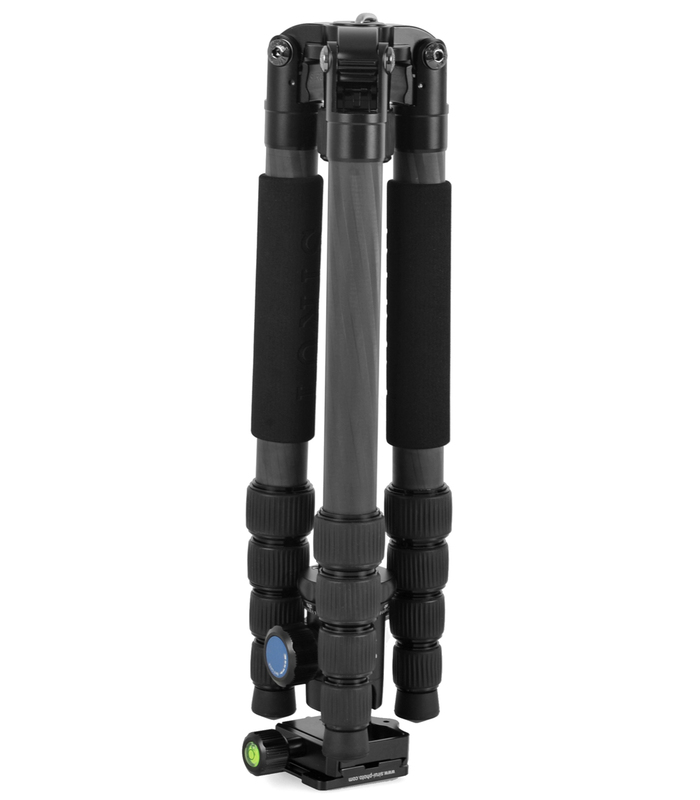 SIRUI P-S Photo/Video Monopods – legendary build, features and flexibility. 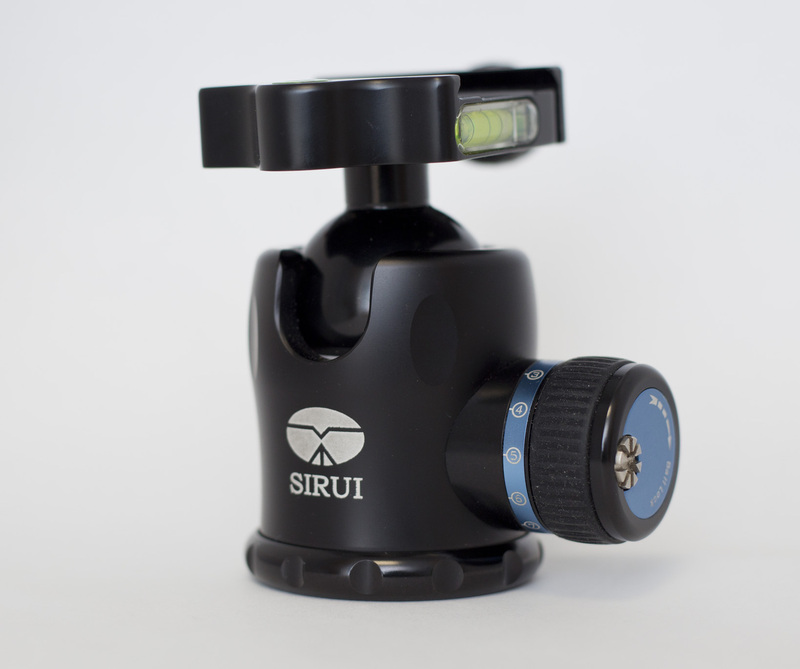 Sirui W Series waterproof tripods – made to handle sun, sand and surf! Sirui Photo Backpack and Shoulder Bags – stylish, rugged, versatile! and a full selection of SIRUI products. Handle them, buy them, enjoy them! And you can also learn how to use your equipment with the many workshops, seminars and hands-on events. 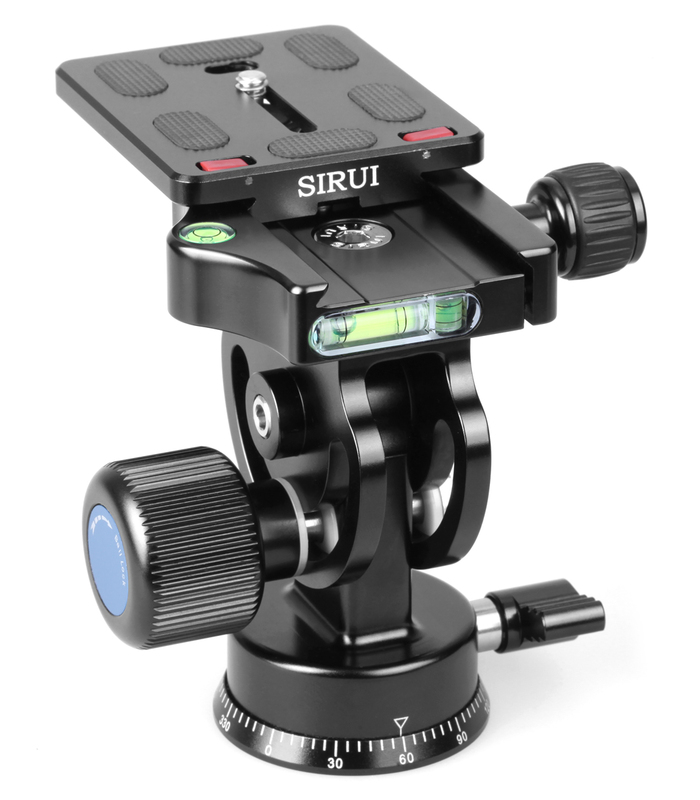 For more information on the complete line of SIRUI products and the SIRUI 6-year warranty, please go to http://www.sirui.com or http://www.facebook.com/SiruiProfessionalTripods.